Marketing becomes more and more data-driven every day. Digital media data expands and grows more complex. Marketers and business owners need powerful tools to collect and manage customer data for effective campaigns now more than ever. To capture valuable customer data from different sources, make it easy to digest and get actionable insights to beat competitors with better sales companies can use an all-in-one marketing solution. What is an all-in-one marketing solution? An all-in-one solution is a unified platform that collects, organizes, displays and reports customer data from various digital sources, including web applications, web analytic tools, CRM systems, Social Media and many other channels. Most marketers store customer data in multiple platforms and apps. Although this way of managing information is very popular, it is already out of date. The process of collecting web analytics, social media, email marketing, Google Analytics and finance data from all the different sources and then assembling it to be able to use it takes too much time. We all know that time is money, and wasting it will surely undermine the business. An all-in-one marketing solution does the tedious job of collecting data. It does it much faster than most experienced marketing pros. 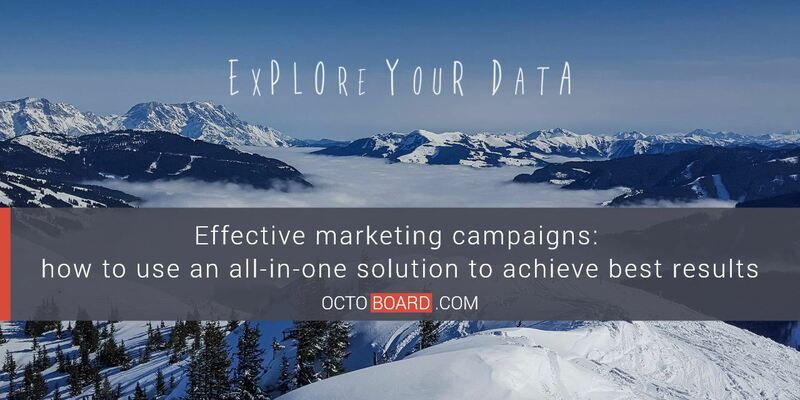 For example, Octoboard – a popular all-in-one business and marketing tool – is able to work with large data volumes. It not only gathers data, but also updates it automatically. It helps make informed business decisions based on statistics knowledge. 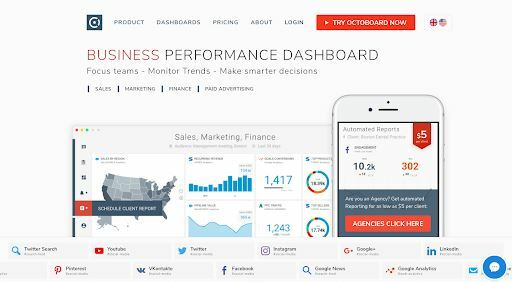 Marketers, agencies and business owners use all-in-one solutions to understand and retain their customers and get more clients using data and metrics provided on dashboards, automated reports and TV screens. How do all-in-one solutions work? 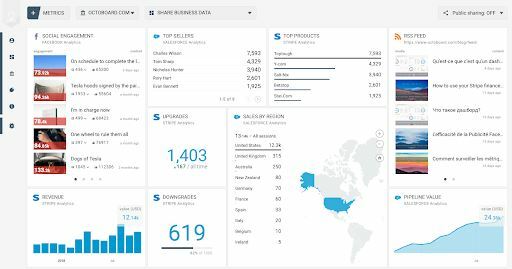 Dashboard and reporting solutions collect and display data that helps truly understand your current financial situation, audience, sales statistics, marketing metrics and more. For example, audience data can be collected based on specific behaviors (such as clicks, downloads, video uploads etc. ), interests, and demographic information (age, gender and other data). This information is taken from different sources that you or your clients use. This sources (for example, Google Analytics or Twitter) need to be connected to Octoboard so it can start collecting data. “Know your audience” is a basic marketing rule for any business. You can use audience data to build targeted marketing campaigns. Marketers rely on audience segmentation to power their data-driven campaigns and reach the right consumers at the right time. With an all-in-one solution, you can collect your audience data in one place for a quick and easy understanding of who your customers are, what content they interact with, and how best to reach them effectively. How to choose an all-in-one marketing solution? First of all, the platform should be intuitive to use, requiring no additional training or getting help from the IT department. After all, we are talking about an automation system that exists to save you valuable time. 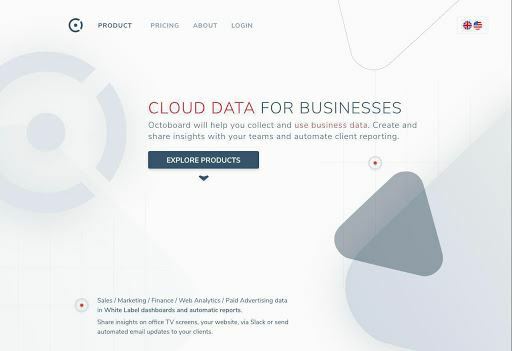 For example, Octoboard’s all-in-one platform can be connected in a few clicks, and getting your data, creating a metrics dashboard or an automated report does not take more than a minute each. You should look for a tool that can add as much connections to marketing channels as possible. If the native integration isn’t included, it should be easy to provide your data with a Google Sheet, for example. Finally, the platform has to scale with your business, providing different plans for various business types. A trial period, if available, can be a good way to understand whether the solution can work well for your company. 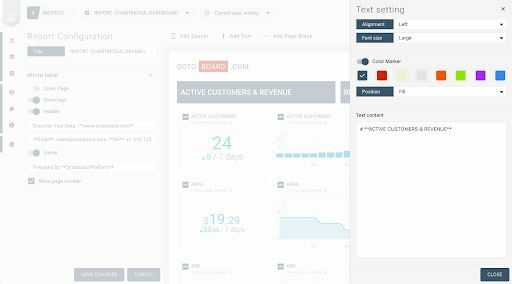 Octoboard provides a dashboarding and automated reporting solution built for marketing agencies that automates data collection, analysis, display, reporting from over 50 integrations – from Web analytics and Paid advertising to brand monitoring and reporting. 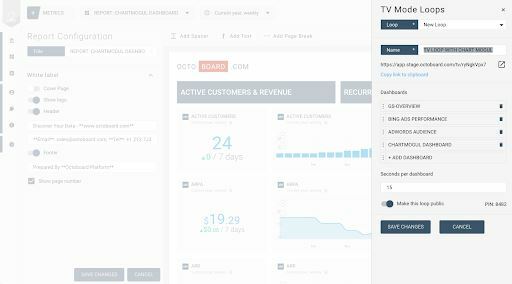 After you connect marketing and analytics apps to Octoboard, it starts monitoring it for you, displaying data on your office TV screen, sharing dashboards with stuff and clients and sending reports by email. The collected up-to-date statistics are displayed in widgets in a form of graphs, charts and tables. Different data cannot be shown the same way. Useful and logical presentation, including the ability to monitor historical data and changes, adds to the tracking and analyzing experience. 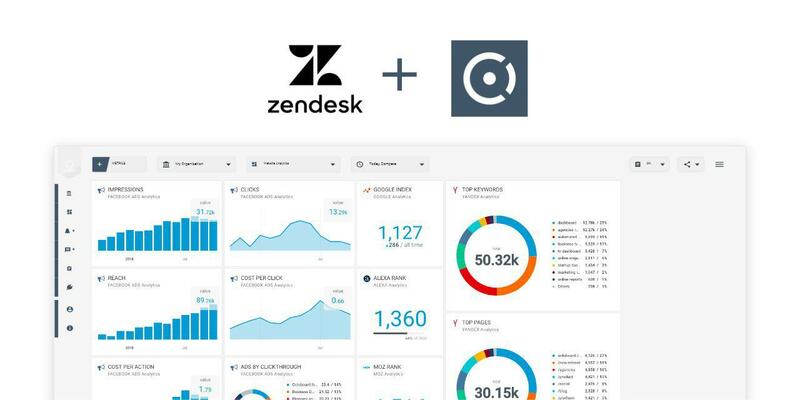 Agency marketers can create a separate dashboard or a few of them for each client. It organizes the management and helps reduce the amount of time spent on analytics. 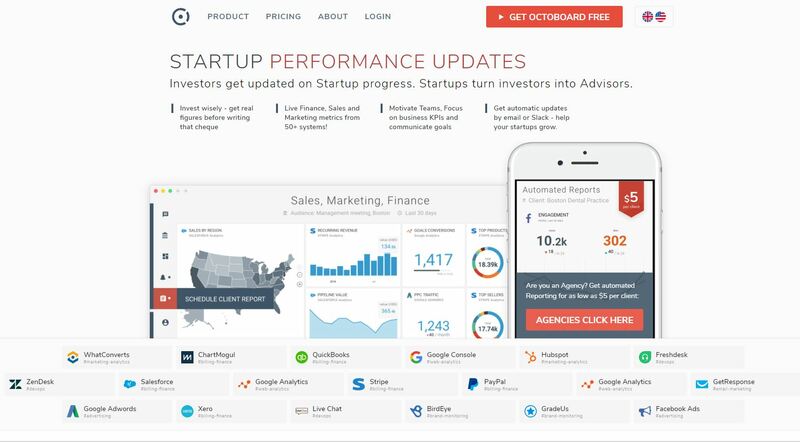 50+ integrations with the most popular sources: Google Analytics, Yandex.Metrica, Moz, Alexa, WordPress, Facebook, Twitter, Linkedin, Instagram, Google Sheets, Paid advertising and many more. A variety of plans for any business from startups to large enterprises, as well as individual plans. Free trial periods are also available for all plans. 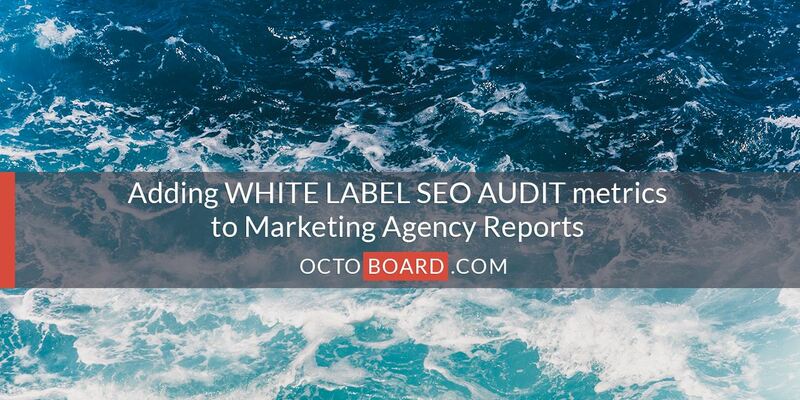 White label feature to customize your reports adding texts and logos. You can remove any reference to Octoboard, making the report truly your own. Automated report scheduling and sending. Historical data monitoring plus various visualization possibilities. 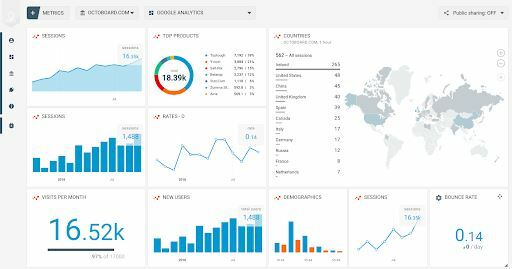 Dashboard embedding – a great tool to add metrics dashboards with real-time statistics to your website. TV Loops that allow displaying different dashboard sets on TV screens around your office. Data is crucial in today’s business. Information gives great opportunities if you know how to use it and have the right tools to analyze it. 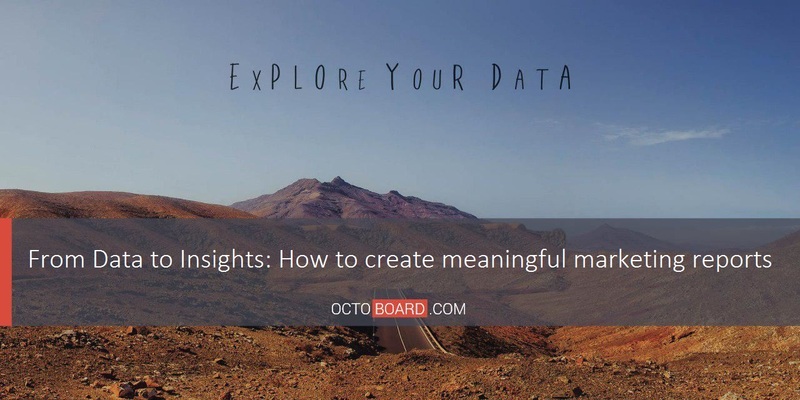 Octoboard’s all-in-one solution can help you on the road to managing data and getting the insights that will lead to business growth. 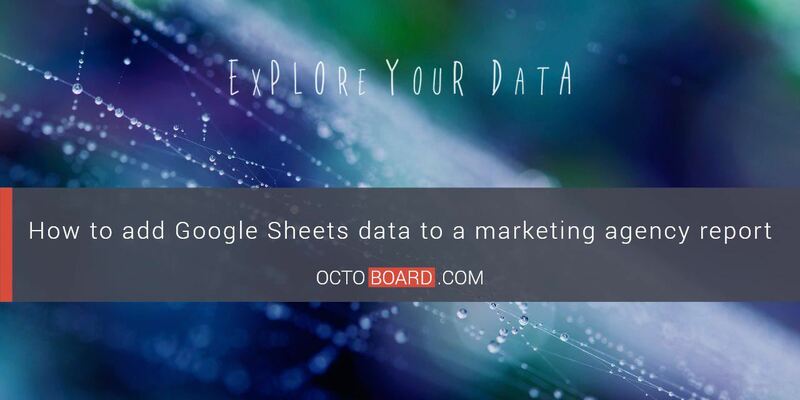 Try Octoboard and start using your data today!